MPC-forums.com has been independently supporting the MPC community since 2002 and now has over has 56,000 members and over 1.5 million posts making it by far and away the biggest and most popular MPC community on the planet! If you need some support for any model of MPC, just post up your questions and before you know it you’ll soon have loads of like-minded MPC heads offering plenty of help and advice. Get feedback on your beats & songs in the ‘Your Music‘ section. 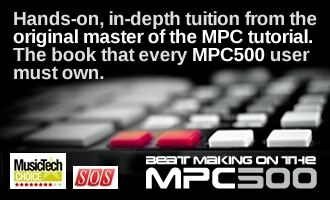 Join our mpc beat battles and pit your beat making skills against the rest of the forum, or just hang out and chill on the many other sub forums covering pretty much every aspect of MPC beat making and audio production in general. Constructive reviews, helpful and thoughtful opinions or support requests for anything related to MPCs are always welcome and never deleted, so head over there now and join the MPC community today. You don’t have to register to read, but you’ll need to register an account to post or search – membership is completely free!